break ins are a growing concern. protect your family from harm with top of the line security systems. Do you really need security cameras in Calgary, Alberta homes or will keeping your home under lock and key suffice? It’s really hard to play guessing games here but you don’t really need to be the cautious type of person to realize that having security cameras in your residential property can keep you secure and put your mind at ease more than the traditional locking method can. 1. 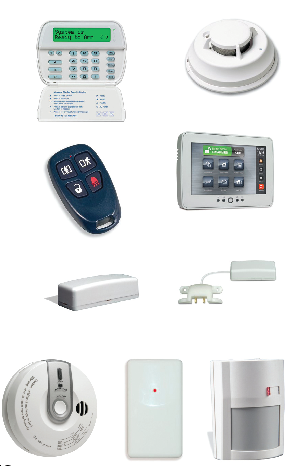 Alarm systems can alert you instantly. Theives are becoming trickier to detect. It is not uncommon for home owners to wake up one morning and find their house already robbed of their valuables because they have been robbed while they were asleep. Theives have a variety of tricks up their sleeves that can get them in a house, no matter how secure it might seem. An alarm system will ensure that home owners will be alerted to the presence of unwanted visitors. 2. Alarm systems can record videos. Recording videos can serve as evidence in case you have been robbed. Not only will this help the authorities catch the theives, it will also help the entire neighborhood prevent them from coming back again. 3. Alarm systems can secure your property even when you are away from home. One of the great features of alarm monitoring in Calgary is its wireless network monitoring feature that allows home owners to keep track of their house even while they are away. Going on a vacation? You can rest easy because you can check your house from time to time via the remote monitoring provided by the alarm system. 4. Alarm systems can prevent potential damages to property. Aside from security alarm systems, you can also opt to install fire and water damage systems as an effective damage preventive measure. The potential cost of fire and water damage can be substantial not to mention the possible harm these unexpected circumstances can cause to your family. Protecting your residential property and your family is easier with the perfect alarm system. It’s paramount having peace of mind so look for an alarm system with the features suitable for your budget and personal needs. Is your system our of date? How do you know if your system is becoming obsolete? If you currently have a security system in your home or business, and it’s over 3 years old, it’s likely analog and out of date. You will need to upgrade soon. Take advantage of our Takeover Bundle. Bundle your monthly fees for our best rates.